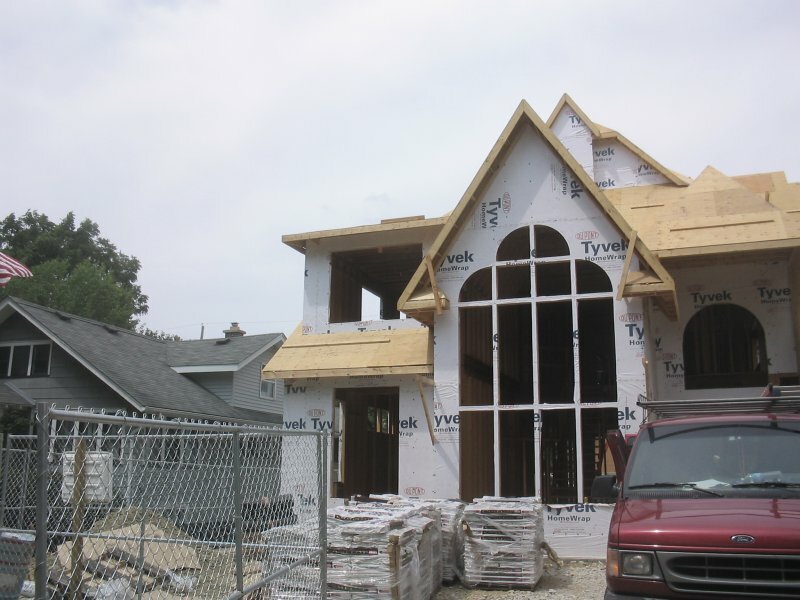 Here is our truck at one of the hundreds of new construction homes having an active sub-slab ventilation system installed during the construction. 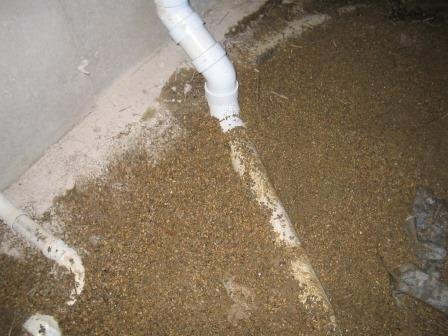 We install drain tile in the aggregate and connect our radon pipe to it before the basement floor is poured. 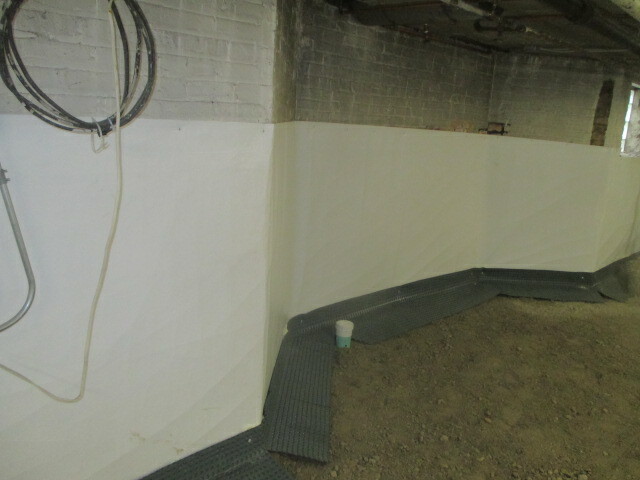 Interior drain tile system installed with sealed white membrane along exterior wall. Both radon and interior drain tile system working perfectly together. Done right. 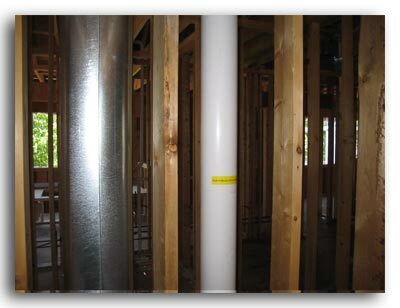 Radon vent pipe is installed during the installation of the HVAC and plumbing. 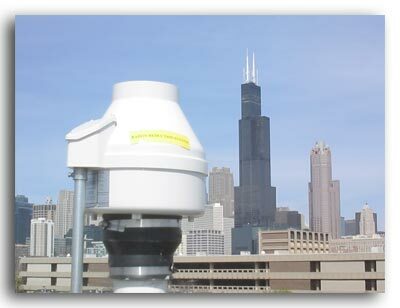 This will allow the system to be designed as an integral part of the home. 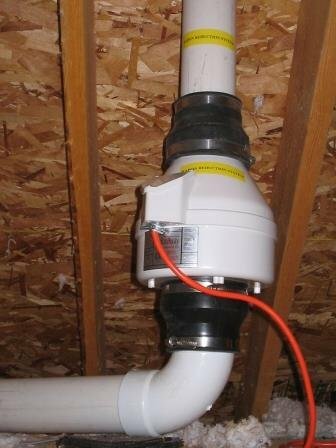 In-line vacuum fan is installed in the attic of the house prior to drywall and insulation. 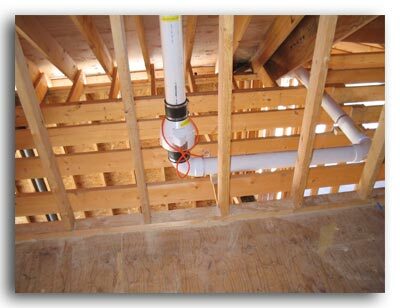 Fan can be located in the attic of the house or garage prior to installation of drywall and insulation. 4-story building in Chicago with roof top patio. Radon fan on roof above utility room. 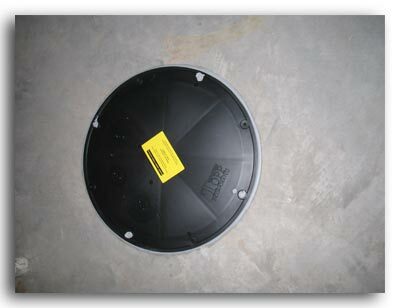 We will seal holes in the floor for rough-in bathrooms in the basement.